Who doesn’t love a good deal? The following stores are offering specials this Friday. To kick of the holiday shopping season, enjoy 30-50% off the entire store during Black Friday. 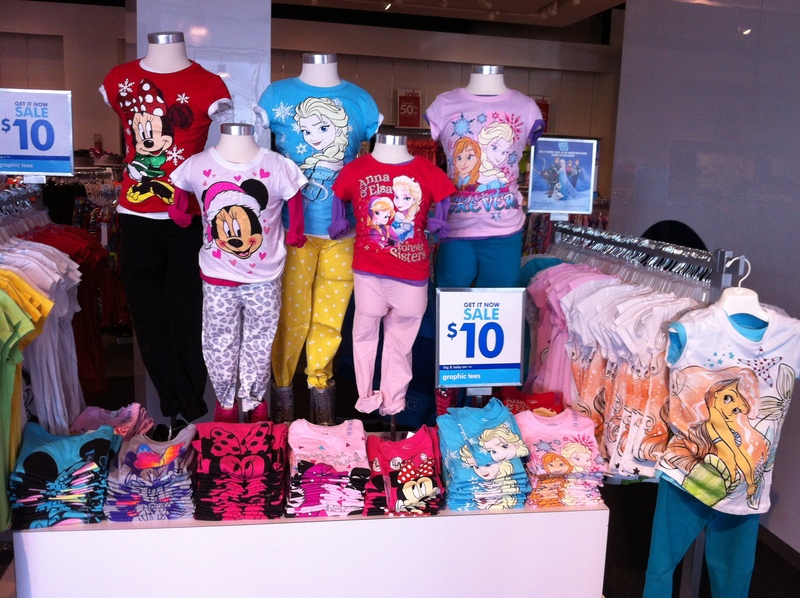 So grab this season’s coolest styles and colorful, must-have basics just in time for the holidays. This Black Friday, for one day only, in addition to 30-50% off discounts storewide, check out: Glacier Fleece Tops & Bottoms available for just $4.90, Denim collections for only $8.40, and 50% off all outerwear and cold weather accessories. The Doorbuster savings continue throughout the weekend. Come in Saturday and Sunday to pick up the perfect gift for the little ones in your life, coveted Graphic items for only $4.90. Enjoy a special2013 Black Friday VIP (In Stores 11/29/2013) with a over $100 value, for only $20 with a $40 purchase. Exclusive, limited edition tote includes 7 Very Impressive Products… including the newest must-have fragrances of the season! Order a $100 gift card IDG gift card and receive a $20 IDG bonus card when purchased online until December 20. 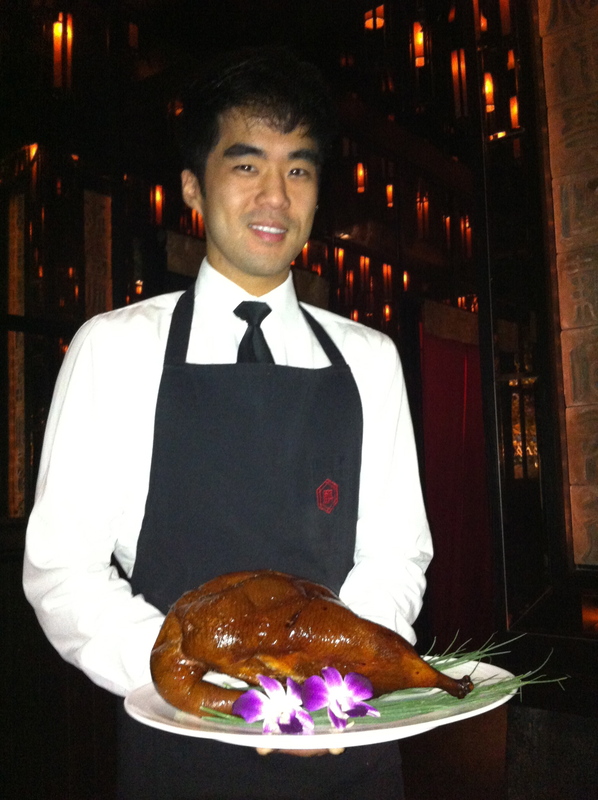 Innovative Dining Group restaurants include Chi Lin, Riva Bella, Sushi Roku, BOA, Katana, Robata Bar, Soleto, and Delphine. Free standard shipping and gift-wrap with cards purchased before December 2, 2013. Go online http://www.innovativedining.com/restaurants. 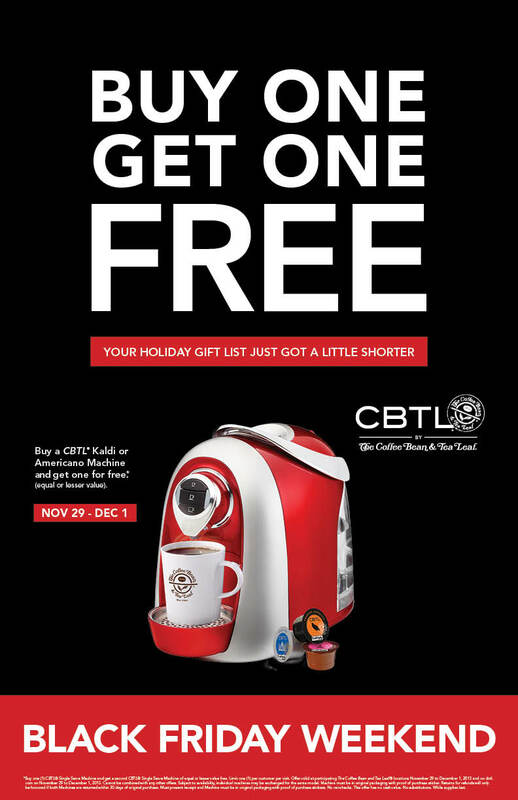 Available at participating store locations and online (for shipping nationwide) from Friday, November 29 through Sunday, December 1, shoppers will receive a free* CBTL® single-serve machine with purchase of a regular priced CBTL® Single Serve Machine of equal or lesser value*. Customers can choose from the flagship Kaldi ($179), Americano ($149), or Briosa ($119) in a variety of festive colors including Pure White, Red, Blue, Silver, and more. The multi-tasking line of CBTL® Machines are perfect for kick-starting every morning with your favorite morning brew, and to entertain guests during the holidays with caffeinated coffee & tea-inspired cocktails in the evening. The versatile machines brew coffee and espresso (easily recreating Lattes, Cappuccinos, Mochas, Macchiatos, and more) as well as tea, with just a touch of a button. Created with a sleek Italian design based on the CAFFITALY SYSTEM, CBTL® is the only single-serve machine to feature a twin pressure system that reaches the high pressure needed to make authentic espresso and lower pressure for perfectly brewed coffee and tea.